An allusion is a figure of speech that makes a reference to, or representation of, people, places, events, literary work, myths, or works of art, either directly or by implication. These two words are often misused at least in conversation, if not in a literary sense. 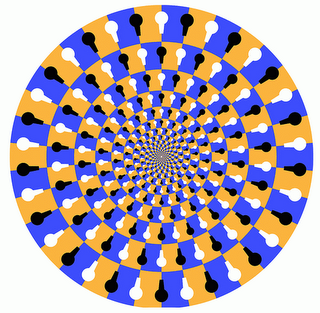 Illusion is what a magician does; he creates a world or a vision of something that isn’t real. He makes you believe what he shows you is genuine and factual, when in reality it is nothing more than sleight of hand tricks or redirection of your gaze while he manipulates objects before you. Allusion is the act of reminding you of an earlier reference of an established fact or idea. If you were asked the question, “Do you like cherry trees as much as George does?” the speaker is referring to the youthful indiscretion of our nation’s first president, George Washington, cutting down cherry trees. You are directing my attention to a bit of early history. If a person’s long hair is wildly untidy, an allusion to Medusa’s head of snakes would be a comparison easily recognized. The way I remember to keep these words separate is that if I believed in magic I could become ill; therefore I must keep the illusion of magic in its proper place. My brain is big enough to remember some of the most notable references of historical and literary work ever written, but not all of them, so my allusions may need to be researched for their sources so I may understand the reference to the subject under discussion.